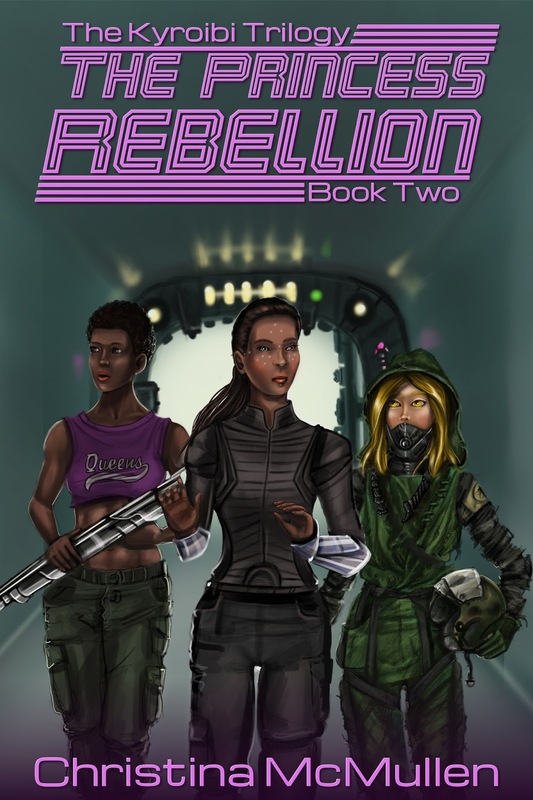 Although Ellie always wanted to save the world, she never wanted to rule it. But as the true master of the Kyroibi and heir to the Korghetian throne, she’s now expected to do both. Worse, she’s also expected to play nice with the other leaders of the Ghowrn Alliance, including the overbearing Prince Gevandar, who sees her as nothing more than a weapon to unleash upon the Huptsovian Empire. When imperial ships are discovered lurking in Ghowrn space, war becomes inevitable. Ellie finds herself pressured to use the automaton army under her command to end the battle once and for all. 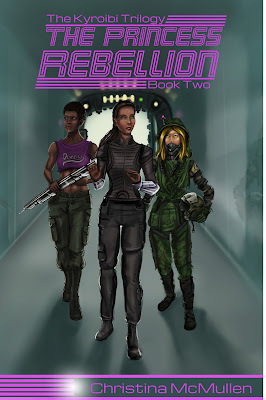 With only a handful of allies, she instead embarks on a mission to free the Alliance planets under Huptsovian rule, determined to avoid a full scale robot invasion. 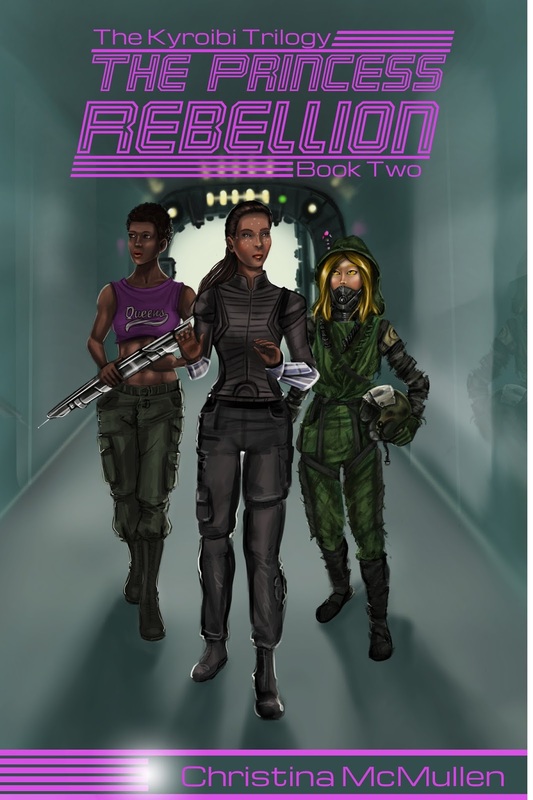 Besides, the more she learns about her mysterious battalion, the more she wonders if peace was ever truly their purpose. And if so, at what cost? The Kindle Edition releases on November 10th, but it is available for pre-order today. As with all of my novel-length books, this will also be available in paperback format, which will go live around November 1st. As always, if you order the paperback edition, you are entitled to a free Kindle Edition through Amazon's Matchbook program, so keep that in mind if you plan to purchase both! And of course, this leads to the reveal of the paperback version. This time, there isn't a whole lot that's changed between the two, but again, the reason for the separate covers is to have something that works for the Kindle format while also having a way to display all of Missy's art. Interested? Intrigued? Wanna know more? 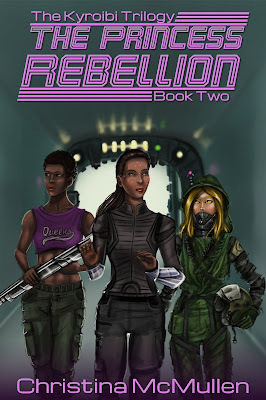 Then read on for a small excerpt from the first chapter of The Princess Rebellion, The Kyroibi Trilogy Book Two! She took in another breath of fresh, clean air, savoring the sweet crispness with a sigh of contentment. As much as she adored New York, Ellie wondered how she would ever again suffer the pungent city air. Her spirits sank as she thought about home and her determination to make it back to Earth. Already weeks had passed since she’d left and the ache in her heart hadn’t lessened. She began to wonder if it ever would. A light breeze rustled the leaves of a nearby tree, swaying the soft, willow-like branches against her bare arm. She reached out and absently ran her hand under the slender leaves, noting that they felt more like the silky mane of a horse than any vegetation she’d encountered on Earth. It didn’t stop her longing, but she found therapeutic comfort in the touch. Every muscle she’d just managed to relax stiffened at the haughty scolding. She bit back the imprudent comment she wanted to make and instead turned to face her intruder with an icy glare. “Is there something you need, your majesty?” she asked, not bothering to mask her displeasure over being followed. The biggest problem with uncontrolled pulsing was that Ellie had no way of keeping her whereabouts secret. The Korghetian atmosphere was so clear that the slightest trace of energy pollution stood out like a homing beacon. A Sintarian by birth, Gevandar stood nearly a full head shorter than Ellie, but presented an imposing figure. His shoulders were as wide as three of her standing side by side and the thin material of his shirt made it clear that not an ounce of his considerable weight was fat. He might have been considered conventionally attractive, but his overbearing attitude and constant scowl overshadowed any positive traits in Ellie’s opinion. Worse, as she learned all too quickly, Prince Gevandar was not used to having his authority challenged. “I’ve called a meeting of the Alliance Leadership Assembly this evening,” he informed her, as if that were enough of an excuse to follow her half-way across the planet and interrupt her one moment of peace. “As I’m aware,” Ellie said with a clipped tone, holding up her arm to show off the personal info unit on her wrist and the calendar notification blinking on the thin display. The bracelet-like unit served much the same functions as her smart phone had back home, but without the luxury of a full display, the internet, or anything fun, for that matter. It was closer to a wearable version of the PDAs that were popular among businessmen in the late nineties with the added inconvenience of a communicator she’d not yet learned to silence. If Prince Gevandar meant for his words to elicit a reaction, he was to be disappointed. Yes, she was internally fuming, but she would not give him the satisfaction of knowing how angered he’d made her. Instead she simply nodded in an invitation for him to continue. After a moment, when it became obvious he would not, she raised her eyebrows. At this, Ellie lost her composure. Whether the prince had meant the insult or not didn’t matter. It was bad enough when her mother made comments, but she was most definitely tired of hearing about how primitive Earth was from a bunch of people that had not only never been there, but had enough dubious practices of their own to be considered primitive in her eyes. “Do something to earn my respect and I’ll consider it,” Ellie hissed. Without waiting for a reply, she pulsed away, returning once again to the gloomy castle underground, feeling as if the entire point of her trip to the surface had been for nothing. Anger and frustration radiated from her every diode.